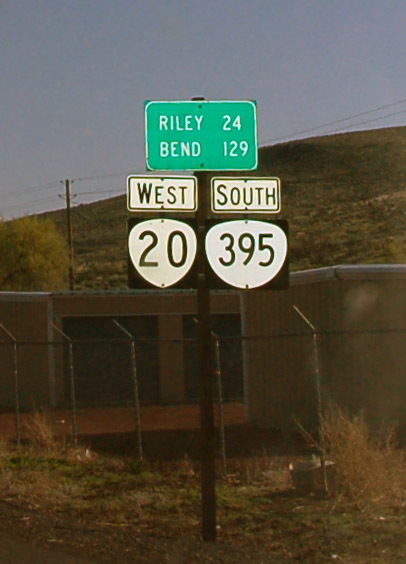 Erroneous state route 20 and 395 shields on US-20/395 multiplex. Photo by Jake Bear and Daniel Brim, 5/5/2007. Click here to browse through the Oregon selection of our catalog of historic signs!